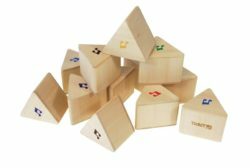 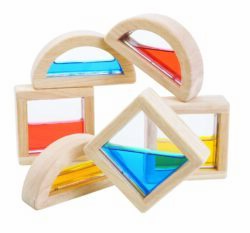 These bright and versatile blocks can be used for stacking as well as discovery games relating to colour, textures and reflection. 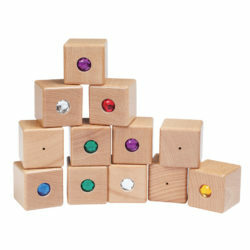 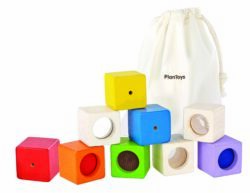 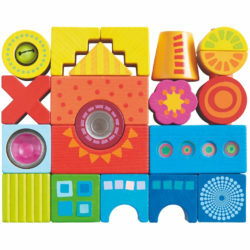 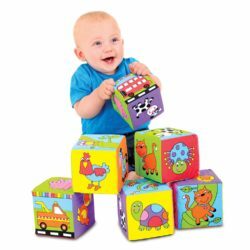 The set of 16 multicoloured blocks come in 5 different textures. 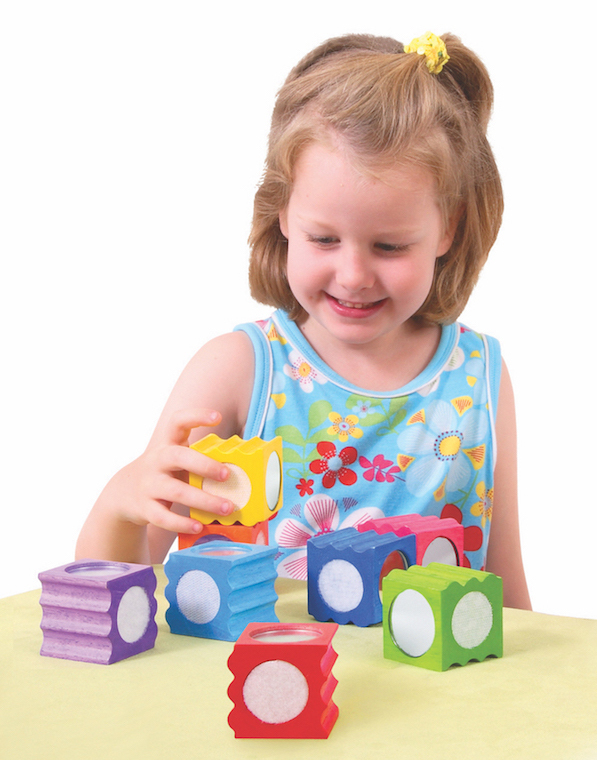 Two sides of each cube have matching indentations that allow them to fit together. 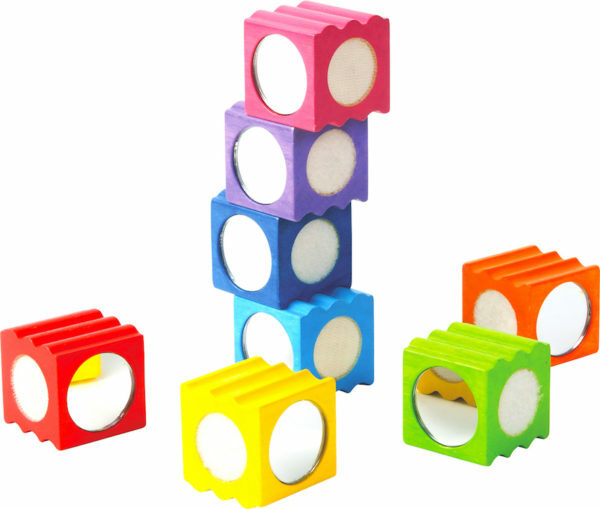 Two sides of cube are covered with textured material that can stick together. 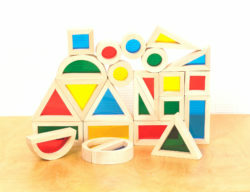 The last two sides contain reflective mirrors. 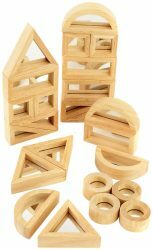 An essential sensory resource that promotes colour recognition, matching skills, observational skills and fine motor skills.